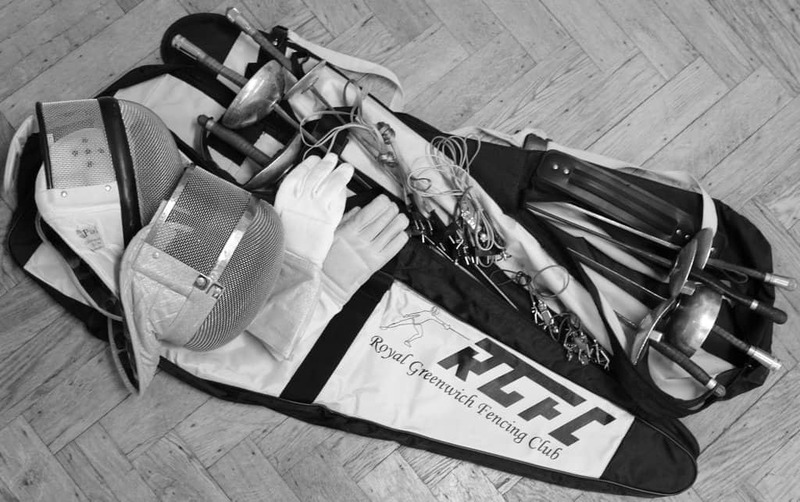 The Club has an extensive range of male and female right and left handed fencing equipment. We supply both weapons and safety clothing for use by our adult and junior members. 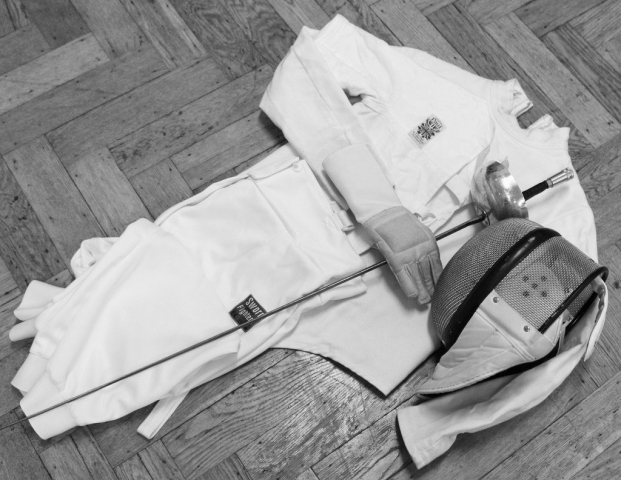 There are 3 fencing weapons provided at the Club, the Foil, Epee and Sabre. Supplied in steam, (non-electric), and electric versions, in junior blade sizes 2 and 3, and adult size 5. Steam weapons are used for training, and when visually judging hits in fights. Electric weapons are used when judging hits in fights using the electric scoring apparatus. 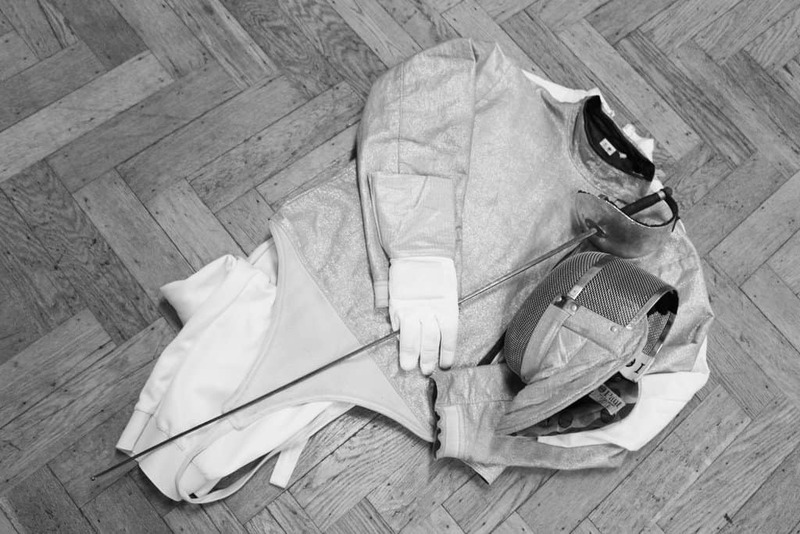 We supply both 350N (newton) and 800N (newton) rated clothing, which is the standard required by the BFA (British Fencing Association) our national governing body (NGB). We also provide Foil and Sabre Lames, which are thin metallic jackets worn over the fencing jacket when using the electric scoring apparatus. 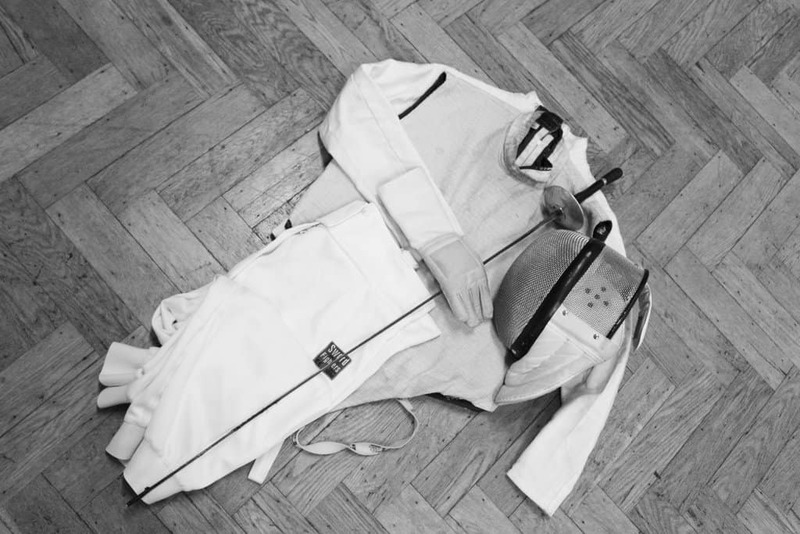 While most fencers will want to acquire their own equipment eventually, we can supply members with all the items necessary for them to start training and fighting straight away. 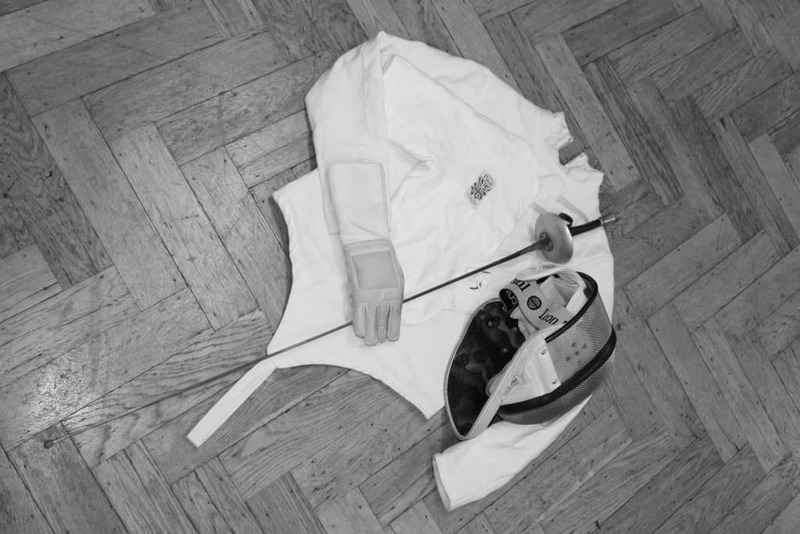 A full basic set of beginners fencing equipment with steam French foil. 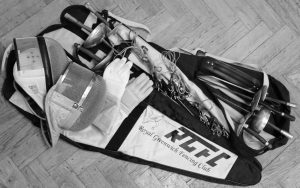 The Club also provides for its members use full sets of electric fencing equipment for all three weapons, for men and women, left and right handers.